TaylorMade Golf has taken a new approach to the better player iron category with the introduction of the PSi and PSi Tour irons. Players have long been subjected to choosing an iron with either premium sound and feel or distance. With PSi, TaylorMade has found the perfect blend of form and function; an iron that delivers a rare balance of elegant design and superior feel combined with increased ball speed and distance. In doing so, TaylorMade has brought innovation to the better player iron category in a way that benefits those discerning players who seek the most out of their irons. In designing TaylorMade’s most advanced players irons to date, engineers integrated the company’s new, proprietary Dynamic Feel System (DFS). Comprised of a HYBRAR™ blend compression damper and a multi-material cavity badge, this system works to reduce vibration across the face without sacrificing ball speed. Combined with redesigned head geometries, tungsten weighting in the long irons (3-5), and forged short irons (8-SW), the result is a truly dynamic approach to feel management in an iron that delivers on its promise for superior sound and feel throughout the set. New to the PSi iron is a revolutionary new Speed Pocket – now a cut-thru slot that feeds directly into the cavity undercut. The Speed Pocket with the cut-thru slot yields more effective slot performance resulting in faster ball speeds for shots struck lower on the face. PSi also utilises Face Slot Technology, a feature that debuted last year with the RSi series of irons. Face slots, located on the heel and toe of the clubface, protect ball speed and generate more consistent distance on shots struck off-centre. Consistent distance on shots across the face was a key deliverable in ensuring this iron met the demands of better players. Finally, an ultra-thin face (sub-2mm) contributes in supplying this compact iron with amazing distance. The 360° undercut expands the unsupported face area and lowers the centre of gravity (CG) to generate the optimal combination of speed, spin and launch angle, giving better players the trajectory they want and the distance they need. The PSi irons also utilise a progressive spec package, ensuring each iron throughout the set delivers optimal performance. Blade length, top-line thickness and offset increase progressively from the wedges down through the long irons, delivering golfers a confidence-inspiring, aesthetically appealing look at address. In addition to the PSi, TaylorMade also announced the PSi Tour iron, designed with input from and engineered for the best players in the world. Featuring forged 1025 Carbon steel and precision milled face slots and Speed Pocket, PSi Tour features a more compact head size and tour-inspired shaping and workability for the best of ball strikers. Additionally, PSi Tour has a thinner topline, less offset and narrower sole than the PSi and its progressive CG position allows for higher trajectory in the long irons while retaining optimum workability. The PSi Tour is expected to be TaylorMade’s #1 played iron model on the PGA TOUR in 2016. Available at retail on 6th November 2015, PSi will be available from 3-SW, golfers will have a choice of KBS Tour C-Taper 105 steel shafts (£799 – prices based on 7-iron set) or MRC Kuro Kage Iron graphite shafts (£899 – prices based on 7-iron set) in addition to numerous additional custom shaft options. PSi Tour will be available at retail on December 20, and will be offered in 3-PW with Dynamic Gold’s S300 shafts (£899, price based on 7-iron set) in addition to a variety of custom shaft options. 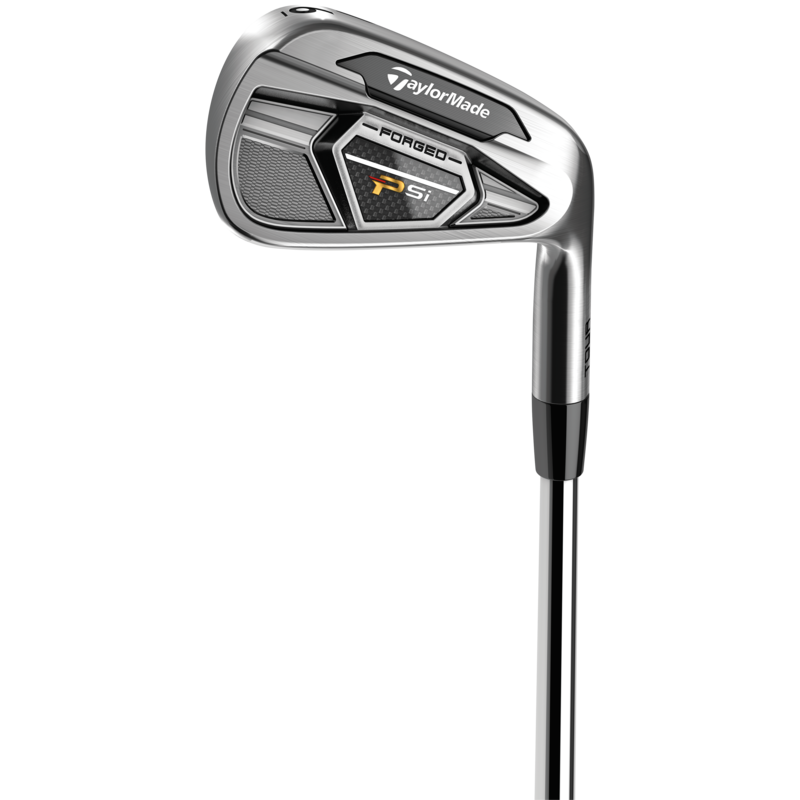 What do you think of the TaylorMade PSi Irons? Let us know in the comments section below or on our Twitter and Facebook pages.